I try to keep the number of apps I use in the classroom to a minimum, but there is one application that I have used since the first day I brought my new iPad to the classroom: Chronology. In all honesty, I started out with the free version of the application, and used it up until fairly recently. 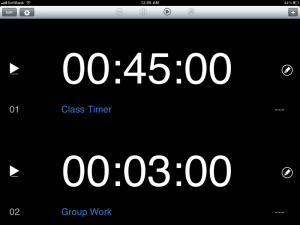 Whether you choose the paid version, or the free version, this is one app that every teacher should have on their iPad. While most university courses in Japan meet once a week for 90 minutes, I find myself in the situation of teaching 45-minute classes twice a week for my first and second-year courses. The move from my previous position, where all classes were 90 minutes, made this a challenging transition. 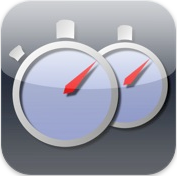 Chronolite – Timer was indispensable in helping me to get a grasp on this new accelerated pace. 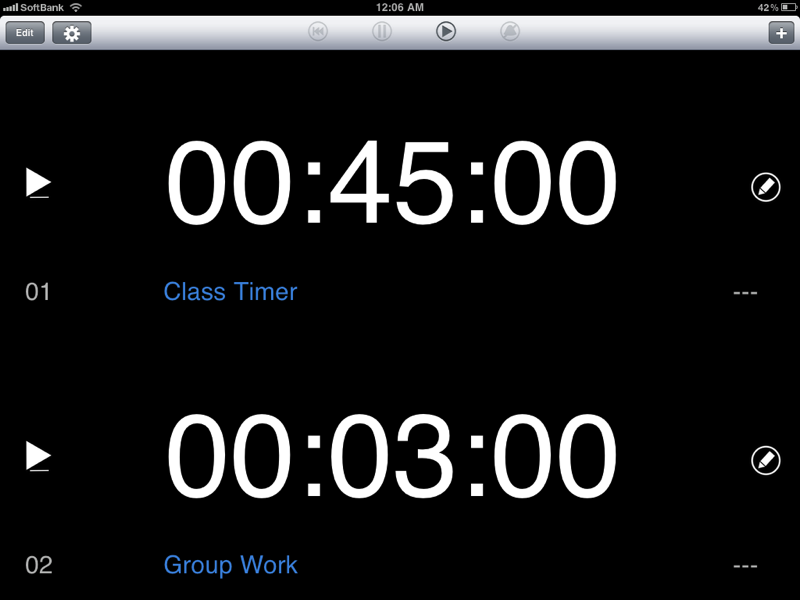 I started my setting up the app with a 45-minute timer for the class, and then other timers for group work activities. Although I was completely happy with the free version of this app for almost a year, I finally decided to buy the paid version out of appreciation. The new-found ability to create timer sets now has me wondering why I waited so long to upgrade. Overall, this is a great app which does what it says, and does it well. Chronolite – Timer [iTunes: USA, Japan] Free: Test drive it. You will find this version quite useful for keeping your classroom on track. Chronology [iTunes: USA: $2.99, Japan: ￥350]: About the same price as a cup of coffee, and infinitely more useful. This was written by Stephen Henneberry. Posted on Tuesday, May 31, 2011, at 12:55 am. Filed under iPad. Tagged iOS Apps. Bookmark the permalink. Follow comments here with the RSS feed. Both comments and trackbacks are currently closed.